Welcome to the Young Living Lifestyle! Young Living Essential Oils are a lovely addition to your home. Are you ready to get some oily goodness sent directly to you? I can’t wait to personally help you get started on your oily journey! Let’s talk about your ordering options. Young Living Oils are only available for purchase online. You can choose if you want to order retail or become a wholesale member. Before you make a decision, let’s take a closer look at these options. You have a few options here so grab a cup of tea, sit back and read on. We will explain each of your options so you can choose the best one for you. AND we are always available to personally help you make the best decision for your family and you. You can always contact us to chat about your options. Your very best deal for your money is one of the Premium Kits. The first 4 choices are Essential Oils Premium Kit – and the only difference is the diffuser. Scroll down to learn more about the other two kits. Get started with your Premium Kit now! Plus you receive a Wholesale Kit which includes: a 5ml BONUS bottle of Stress Away, an AromaGlide roller fitament, two NingXia Red 2-oz sample packets, sample of Thieves Household Cleaner and literature for becoming a member. –> This kit is perfect if you are ready to get into the oils. These oils are the best starting place and introduction to the oils. It is full of oils that you, well, use everyday. Wholesale Kit which includes: a 5ml bottle of Stress Away, an AromaGlide roller filament, two NingXia Red 2-oz sample packets, 10 oil sample packets (2 each of Peppermint, Lemon, Lavender, Peace & Calming, and Thieves) – perfect for sharing with others or taking on the road with you – and literature for becoming a member. The retail value of everything in this kit is almost $240! –> This Starter Kit is ideal for those wishing to replace harmful chemicals in the home with powerful, natural alternatives. NingXia Premium Starter Kit ($170): Love the amazing effects of this magic juice? You will enjoy beginning with this kit. You receive 2, 750 ml bottles and 30, 2-0z packets or NingXia Red. You also receive 14 tubes of NingXia Nitro. Plus you receive a Wholesale Kit which includes: a 5ml bottle of Stress Away, an AromaGlide roller fitament, two NingXia Red 2-oz sample packets, 10 oil sample packets (2 each of Peppermint, Lemon, Lavender, Peace & Calming and Thieves) – perfect for sharing with others or taking on the road with you – and literature for becoming a member. The retail value of this kit is $290! Save $120 with the kit! –> If you are here for the NingXia Red, this is your kit. Savvy Makeup Starter Kit ($150): Start your journey with Young Living by putting your freshest face forward. Choose a Savvy Minerals by Young Living® Premium Starter Kit with a makeup set that has everything you need to create effortless, versatile looks without ever compromising on quality. Our makeup kit lets you choose from four options, with shades selected to complement a range of skin tones and premium products, including our pure mineral foundation, super-pigmented eyeshadows, and universally flattering lip gloss. Create a radiant new look with Savvy Minerals by Young Living today! Get started with your Premium Starter Kit Now! AND, it is totally low stress. You can put your Essential Rewards on hold for one month per calendar year and you can cancel at anytime. Once you start thinking about it…you’re going to want to take the next step. 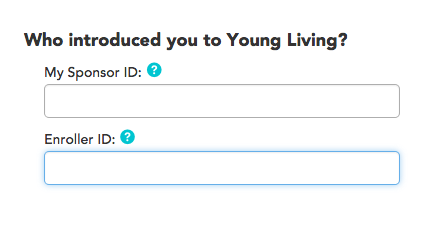 What makes Young Living different from other companies? An excellent question. Young Living is the only essential oil company that controls the entire production process. Young Living is the ONLY company that owns its own farms or partners directly with the farmer to make sure the crops are taken care of in a precise way. You see the only way an essential oil can be therapeutic grade, versus simply smelling good, is if it has all of the constituents or parts and pieces in it. Each of those parts effects the body to support the different systems. Choosing just the right seed, properly preparing the soil, how weeds and pests are handled, the time of day a plant is harvested, whether the plant travels before it is distilled, if it is stored before it is distilled, and on and on, all effect the parts and pieces. Should I add anything to my order? What I recommend is start with the Premium Starter Kit with essential oils. This kit gets you a diffuser – which you will love. Then purchase an Essential Rewards Kit with Ningxia Red (the antioxidant support) and/or Thieves. The Essential Rewards Kits are products that are prepackaged for additional savings. My first response is no, but my second it, you will probably want to! The only “requirement” you have is a single $50 order every year to keep your account active. Do I have to sell the oils? No. Never. Enjoy your oils and that’s it. BUT as a referral-based business, you can earn a lovely check simply by helping people sign up. People are going to ask you why you are feeling more vibrant, sleeping better, etc. Tell them! Then, when they order their kit, simply have them put your number in the Enroller and Sponsor spots on the first page. AND if you do want to work toward a little secondary income or financial freedom, let’s talk. You can read a bit about why i do this here. Welcome to my Simply Serendipity Community! You are going to love being part of our community. With educational opportunities, challenges, giveaways and more, there is so much support for you. Our team hosts regular Facebook events, webinars and more. Our website has a bevy of goodies for you, too. Thinking about stepping into the business? We have you covered! With trainings created to take you step by step into starting your very own business, you will be on your way in no time! Our community is a ton of fun. With giveaways, challenges and other fun activities, you will feel like you are part of something.